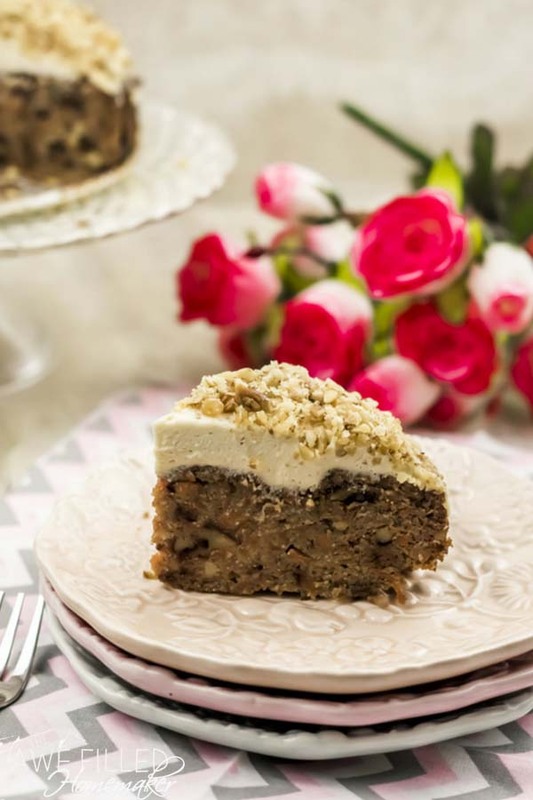 Carrot cake is a timeless classic enjoyed around the world. In fact, many people who I’ve met over the years have their own recipe that has been passed down from generations past, myself included. 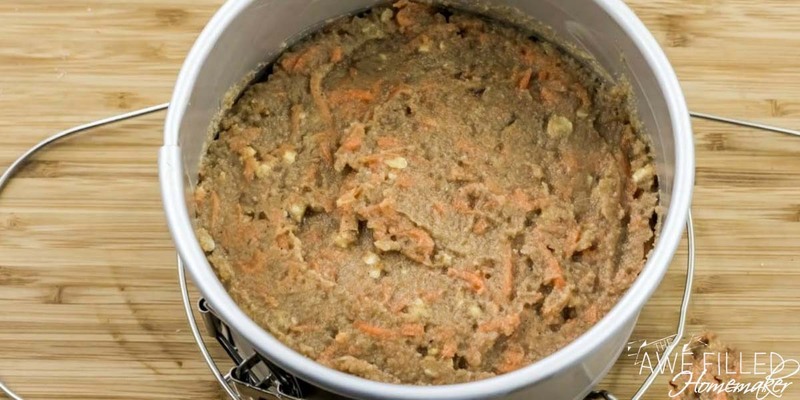 My family also enjoys carrot cake, but we have also incorporated lower carb ingredients into our diet as I am encouraging my family to eat healthier, too. I have followed a low carb lifestyle for many years, but, I must admit, I don’t stick to my diet like I should. I’ve packed on a few pounds and it’s time to get back to the drawing board! So, for those of us who love carrot cake and trying to watch what we eat, what are we to do? Come up with a healthier alternative, that’s what! My biggest beef with “healthier” recipes is they often taste like two-year old cardboard! (Side note: I’ve never tasted two-year old carb board, but I’m pretty sure that’s how it tastes. LOL!). When I create alternative recipes, I keep them on the healthier side while never sacrificing taste. 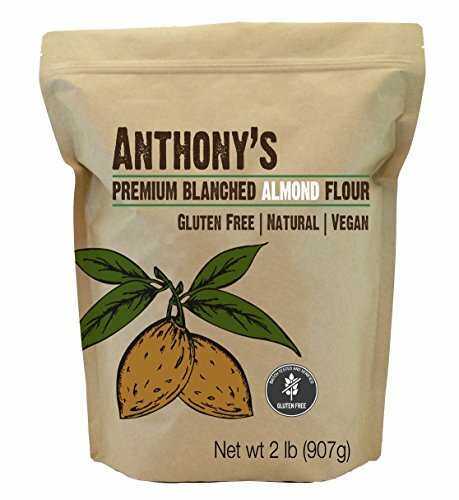 In this alternative carrot cake recipe, I am using both almond flour and coconut flour along with amazing spices to bring out the very best flavors. Did I mention this is an Instant Pot recipe?! I hope you enjoy this recipe as much as we do. 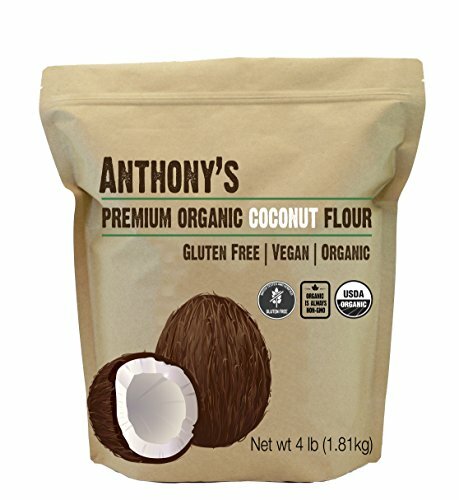 In a large bowl, combine the almond flour, coconut flour, baking soda, ground cinnamon, allspice and nutmeg. Mix it well. 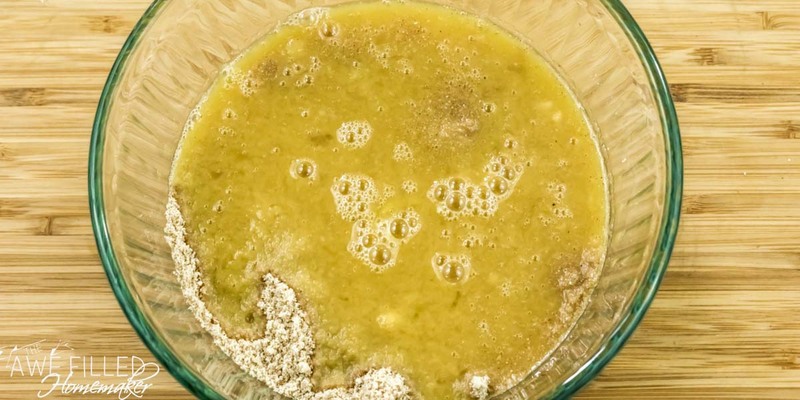 In another bowl, combine the eggs, vanilla extract, maple syrup or honey and applesauce. Whisk it very well until fluffy. 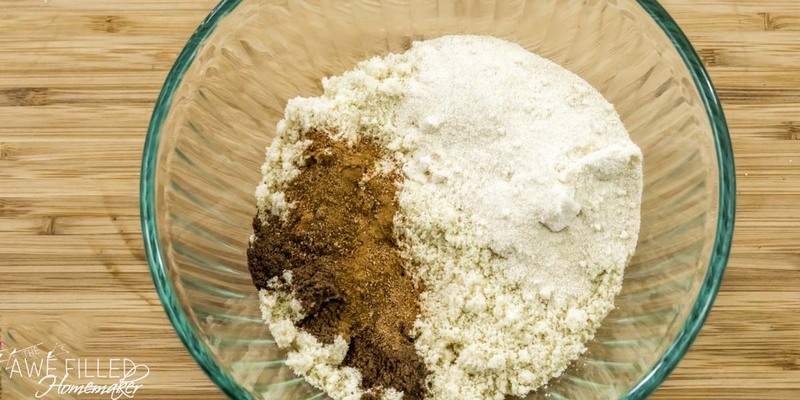 Add the wet mixture to the dry ingredients. Gently fold to combine. 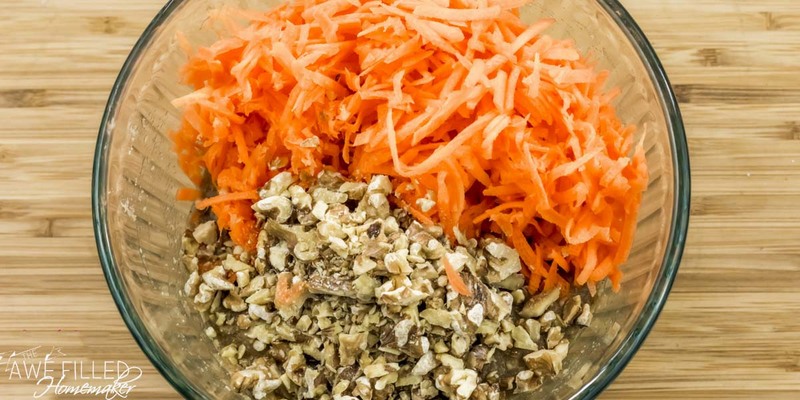 Add the grated carrots and the chopped walnut and pecans. Fold it in gently. 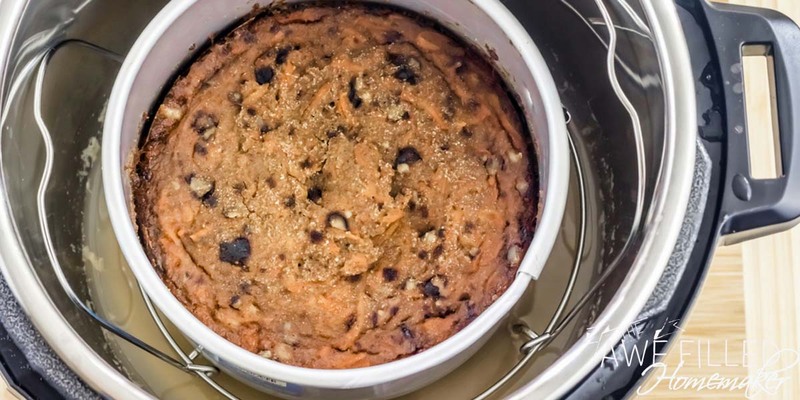 Transfer the batter to a well-greased 7-inch cake pan. Spring form pan works the best. Cover it will a foil. 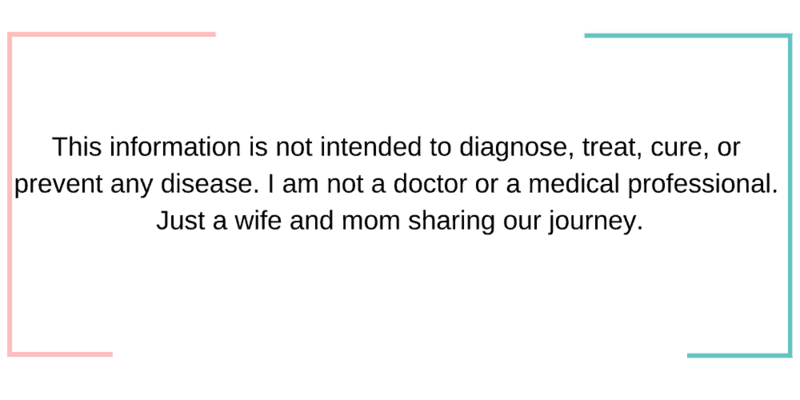 Select the “Pressure Cook” or manual mode and adjust the time, with the “- / +” to 30 minutes. 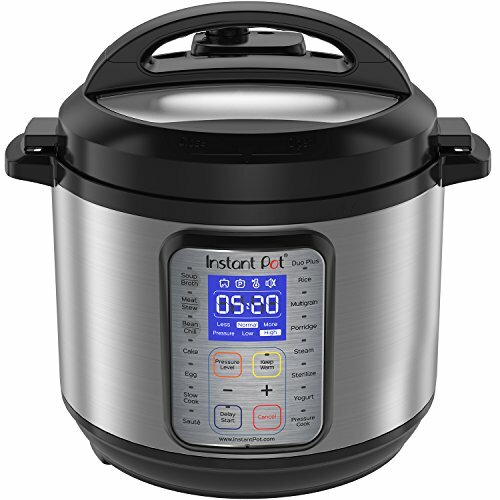 When Instant Pot beeps, let the pressure release the natural way for 10 minutes and then turn the pressure valve to the “Venting” position, to do a quick release for the remaining pressure. Carefully take out the trivet. Open the foil. The cake should be set not at all jiggly. 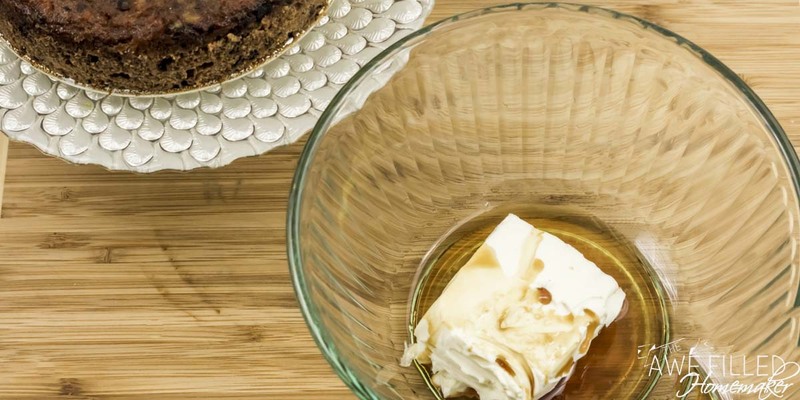 While the cake cools, place the block of room temperature cream cheese, honey or maple syrup and vanilla extract in a large bowl. 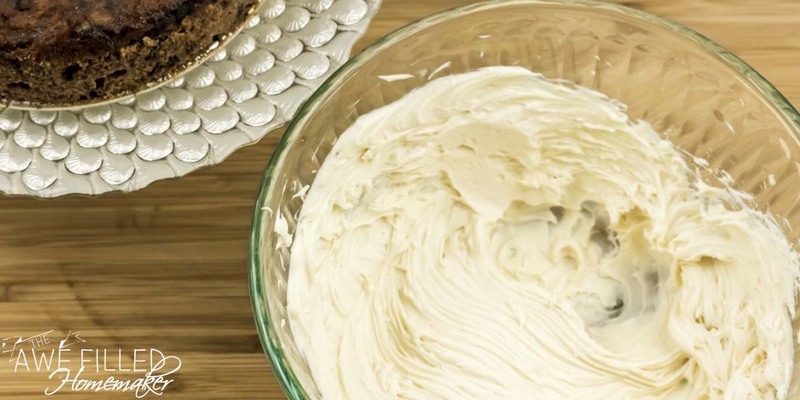 With an electric mixer, beat the cream cheese till smooth and fluffy. Generously slather the cooled carrot cake with the frosting. 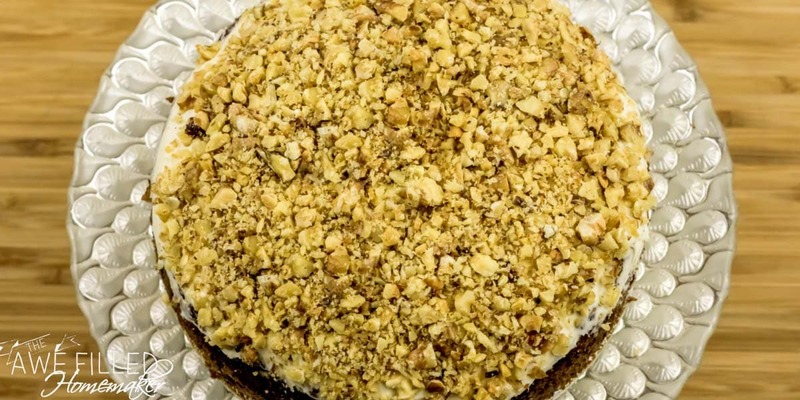 Sprinkle chopped walnuts or pecans all over the frosted cake. Let it chill for at least an hour. In the event the cake is still a little jiggly, cover it again with a foil and pressure cook it for 10 minutes more minutes. 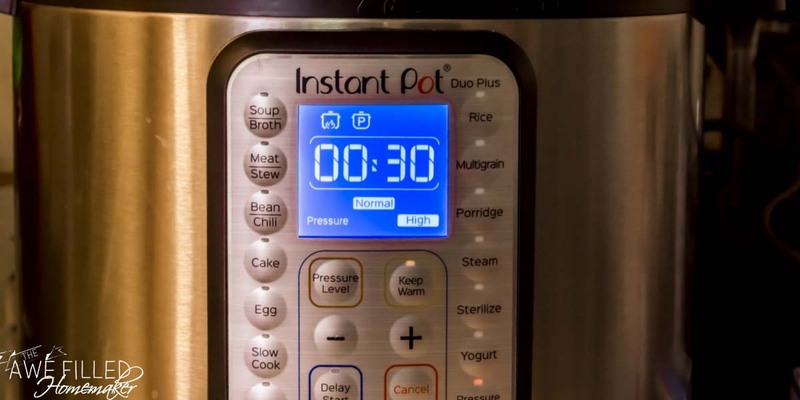 When the Instant Pot beeps, let it release the pressure naturally for 10 minutes, and then use the quick release way to get the rest of the steam out. 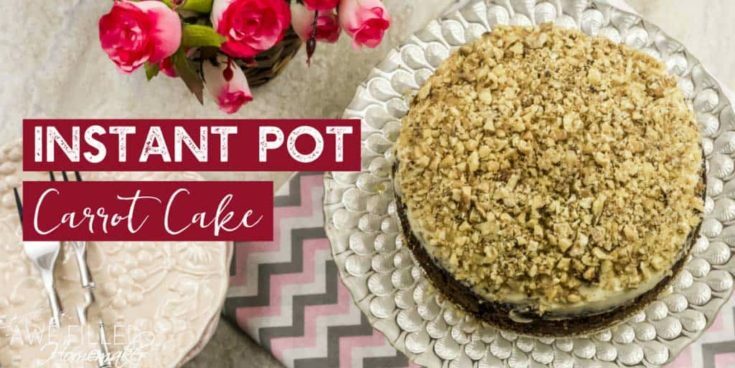 Don’t Forget To Print Your Instant Pot Carrot Cake Recipe Out For Later! 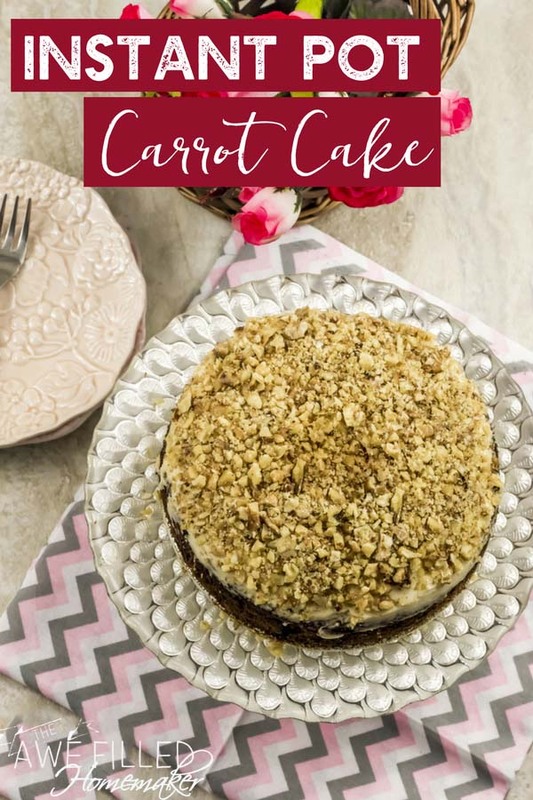 In this alternative carrot cake recipe, I am using both almond flour and coconut flour along with amazing spices to bring out the very best flavors. 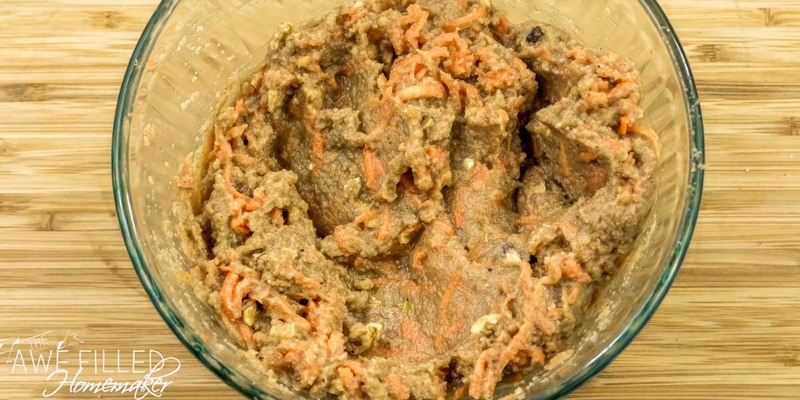 In a large bowl combine the almond flour, coconut flour, baking soda, ground cinnamon, allspice and nutmeg. Mix it well. 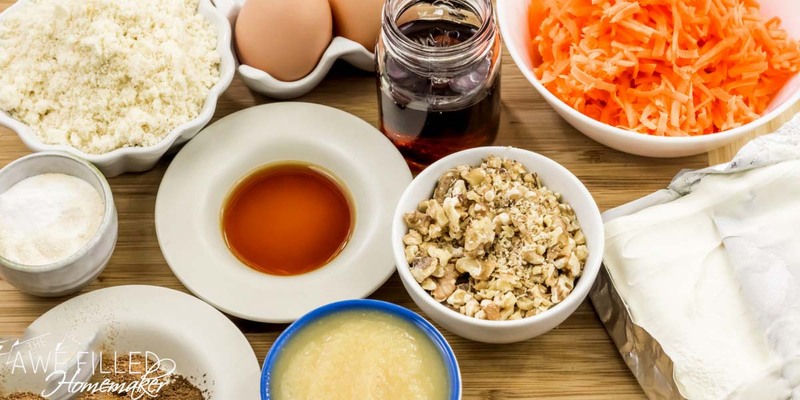 In another bowl combine the eggs, vanilla extract, maple syrup or honey and applesauce. Whisk it very well, till fluffy. Select the “Pressure Cook” or "manual" mode and adjust the time, with the “- / +” to 30 minutes. When Instant Pot beeps, let the pressure release the natural way for 10 minutes and then with a thick kitchen towel, turn the pressure valve to the “Venting” position, to do a quick release. 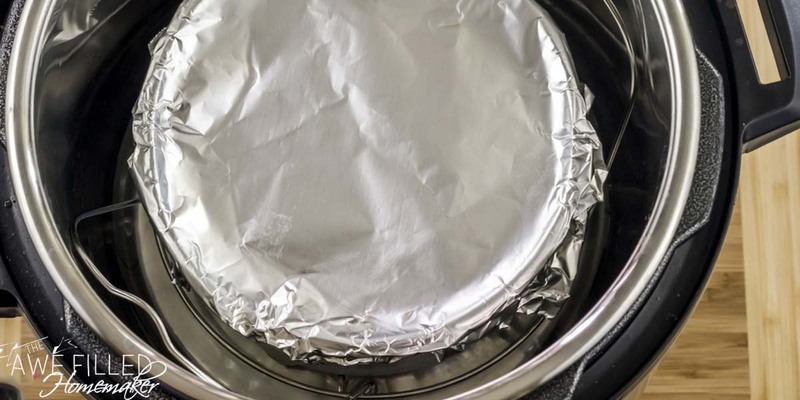 In event that your cake is still a little jiggly(various elevations etc can factor here) , cover it again with a foil and pressure cook it for 10 minutes When the Instant Pot beeps, let it release the pressure naturally for 10 minutes, and then use the quick release way to get the rest of the steam out.